Do you find yourself living from paycheck to paycheck and unable to save for the future? The average American household has a little over $137,ooo in debt so you certainly are not alone in the fight against debt. 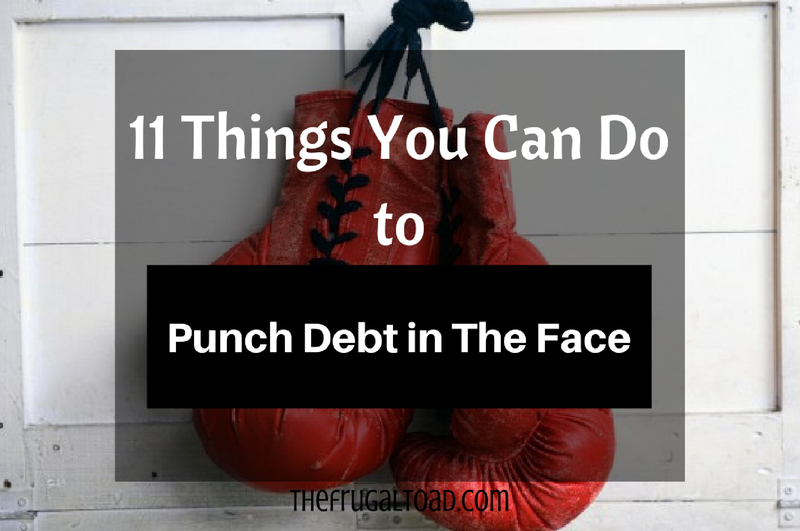 Here are 11 things you can do to punch debt in the face and win. Evaluate your habits. Expensive habits such as impulse shopping for things you don’t need can cost you heavily in the long run. Let them go. This method helps you to spread out your payments over time in accordance with the size of your debts, until all debts are cleared off. Categorizing your debts gives you a clear picture of what you have to work with. There are good debts and bad debts, The difference is that good debt is used as leverage to purchase an asset that will increase in value over time or generate long-term income. Loans for a college education can be an example of good debt if the education results in a job that produces an income stream that provides for a quality lifestyle and still provides sufficient funds to pay off the debt. Replacing your debt with another should reduce the interest rates on your debts and lower the length of time it would take to pay it off. Credit card companies are open to negotiations when you show real interest in paying your debt. Be sure the new plan reduces the interest charges and or amount of debt and get any new terms in writing. Use interest rates and tax benefits as yardsticks with which to prioritise debts. After this, come up with an effective method for getting rid of them. Sometimes you might get the idea to borrow some money to pay off other more pressing debts. If you are going to take out a consolidation loan, make sure you understand the loan completely before going ahead with it. You don’t want to be caught out. When going out to stores or other places where you are going to spend money, take cash instead. It is easier to control your spending when you pay in cash than when you are simply swiping plastic. Planning how to spend and save your money is key to tackling your debt. Creating a budget is a fairly simple process. The first step is to . 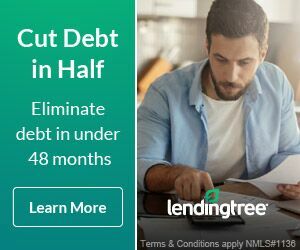 Nothing punches debt in the face like more income. In your spare time or during the holidays, get a part-time job or turn a hobby into a side-hussle and use the proceeds to pay down your debt. You're on a roll! You should be proud of yourself for all of your efforts to reduce your outstanding debt and get your spending under control. Building an emergency fund should be a top priority and saving just $25-$50 per paycheck can make the difference in having the cash for an unexpected expense and falling into the debt trap. Once you have funded an emergency fund sufficient to cover 3-6 months of living expenses, the next step is to get serious about saving. If your employer offers a 401K, save at least enough to get the match and preferably 10-15%. As your income increases, bump up your contribution rate by 1%.